Order multiple outlets & custom positions online. As I said on the phone, thank you for your prompt efforts in getting my orders up and running. It's such a nice change to have someone actually ring you back and help with the order. The deliveries are quick and everything is correct. I shall send you photo's of the drains in the finished positions, both sets external and internal. The quality is excellent. So thank you very much and I am sure we will be dealing with each other in the future. I want to record my real surprise and pleasure at the standard of your service. I ordered a custom made stainless grate of a specific size and quality, and within 3 working days it was delivered here in Sydney. Not only delivered as promised, but the grate was EXACTLY what we ordered. Such service is unusual in today's market, especially when ordering over the web, when what can go wrong usually does. But in this case, it was a perfect product and perfect service. My husband said you would be interested in some photos of your product that we have installed in our new bathroom. We love the affect, as they are barely noticeable and have had a lot of interest from friends and family. The shower grate arrived today. I am totally amazed at the quality of this product and the compactness which is achieved by your manufacturing methods. It totally beats any of the shelf items that are sold by the various tile shops that I have been dealing with, when my latest bathroom reno had a serious hiccup. Once again, thanks for a great product. Just letting you know the grate turned up today and is perfect. Thank you again, for your great Service. Thank you for the prompt and efficient service. Our goods arrived safely yesterday. I ordered one shower grate before (it was fantastic). 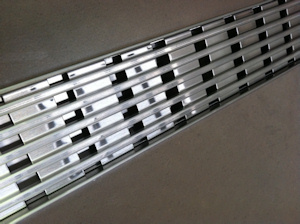 As promised I have attached some photos of our shower grates installed. Once again, thanks for your great service and a great product. WE WILL BE CLOSED FROM 19TH APRIL (GOOD FRIDAY) AND REOPEN ON TUESDAY 23RD APRIL, 2019. WE WILL HAVE SOMEONE AVAILABLE TO ANSWER ALL CALLS AND ENQUIRIES OVER THIS PERIOD. WE WOULD LIKE TO TAKE THIS OPPORTUNITY TO WISH YOU ALL A VERY HAPPY EASTER AND HOPE YOU ENJOY YOUR LONG WEEK-END. TAKE CARE AND STAY SAFE. Same day express* orders available. Our top of the line stainless steel framed Wedge Wire top. I have just received my third shower grate from you (within 24 hours of order and delivered to Sydney) and have to congratulate you on your product and prompt service. Dealing with your company has been simple, quick and efficient. 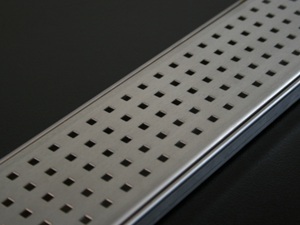 The whole process or ordering three grates has probably taken 5 minutes of my time and I am thrilled with the product. You deserve all the business you get - and more! Thank you very much for the great and super efficient service we received from you. The shower grate arrived here in Tasmania only one week after we ordered it (within five business days)! We usually have to wait 2-4 weeks for anything we order from "the mainland". The shower grate looks superb and is exactly as we ordered it, so thank you once again for your exceptional service. Just some feed back on my recent purchase of 2 shower grates (tile insert). I love them. The tiler loves them. The client loves them. Your competitor hates them. Thanks for the fast, fuss free transaction. We will be doing business again. I just wanted to let you know about the impressive service your business provided me. It was a seemless, efficient exercise to order the goods that arrived within 4 business days from Qld to Newcastle. Very impressive. The Shower Drain looks fantastic and was very economical. Great work and Thank you. I will certainly be telling everybody I know. Thanks for all your help and advise, with ordering our shower drain. We just love your product and couldn't believe how quickly we received it. What a fantastic idea having that 'Priority Service'. We will certainly be recommended your shower drains to our friends and collegues. Just want to say a big 'thank you' for such a fast turn around time with your shower drains. So good to know I can order custom drains and at a reasonable price. Keep up the good work guys, excellent product. If I or any of my clients require a shower drain, I have found no better, or easier, place to look, than my shower grate shop. The product is of a high standard and delivery is extremely prompt. Even to Darwin the products arrive within 3 days with express post. By visiting the website my shower grate shop.com or my shower grate shop.com.au, viewing, accessing or otherwise using any of the services or information created, collected, compiled or submitted to my shower grate shop.com or my shower grate shop.com.au, you agree to be bound by the following Terms and Conditions of Service. If you do not want to be bound by our Terms your only option is not to visit, view or otherwise use the services of my shower grate shop.com or my shower grate shop.com.au. You understand, agree and acknowledge that these Terms constitute a legally binding agreement between you and my shower grate shop.com or my shower grate shop.com.au and that your use of my shower grate shop.com or my shower grate shop.com.au shall indicate your conclusive acceptance of this agreement. You agree and acknowledge that my shower grate shop.com or my shower grate shop.com.au is entitled to modify, improve or discontinue any of its services at its sole discretion and without notice to you even if it may result in you being prevented from accessing any information contained in it. Furthermore, you agree and acknowledge that my shower grate shop.com or my shower grate shop.com.au is entitled to provide services to you through subsidiaries or affiliated entities. You acknowledge and agree that my shower grate shop.com or my shower grate shop.com.au may contain proprietary and confidential information including trademarks, service marks and patents protected by intellectual property laws and international intellectual property treaties to my shower grate shop.com or my shower grate shop.com.au authorizes you to view and make a single copy of portions of its content for offline, personal, non-commercial use. Our content may not be sold, reproduced, or distributed without our written permission. Any third-party trademarks, service marks and logos are the property of their respective owners. Any further rights not specifically granted herein are reserved. When you submit content to my shower grate shop.com or my shower grate shop.com.au you simultaneously grant my shower grate shop.com or my shower grate shop.com.au an irrevocable, worldwide, royalty free license to publish, display, modify, distribute and syndicate your content worldwide. You confirm and warrant that you have the required authority to grant the above license to my shower grate shop.com or my shower grate shop.com.au. You understand and agree that your use of to my shower grate shop.com or my shower grate shop.com.au is entirely at your own risk and that our services are provided "As Is" and "As Available" to my shower grate shop.com or my shower grate shop.com.au does not make any express or implied warranties, endorsements or representations whatsoever as to the operation of the my shower grate shop.com or my shower grate shop.com.au website, information, content, materials, or products. This shall include, but not be limited to, implied warranties of merchantability and fitness for a particular purpose and non-infringement, and warranties that access to or use of the service will be uninterrupted or error-free or that defects in the service will be corrected. You understand and agree that my shower grate shop.com or my shower grate shop.com.au and any of its subsidiaries or affiliates shall in no event be liable for any direct, indirect, incidental, consequential, or exemplary damages. This shall include, but not be limited to damages for loss of profits, business interruption, business reputation or goodwill, loss of programs or information or other intangible loss arising out of the use of or the inability to use the service, or information, or any permanent or temporary cessation of such service or access to information, or the deletion or corruption of any content or information, or the failure to store any content or information. The above limitation shall apply whether or not to my shower grate shop.com or my shower grate shop.com.au has been advised of or should have been aware of the possibility of such damages. In jurisdictions where the exclusion or limitation of liability for consequential or incidental damages is not allowed the liability of my shower grate shop.com or my shower grate shop.com.au is limited to the greatest extent permitted by law. my shower grate shop.com or my shower grate shop.com.au may include hyperlinks to third-party content, advertising or websites. 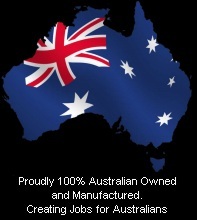 You acknowledge and agree that my shower grate shop.com or my shower grate shop.com.au is not responsible for and does not endorse any advertising, products or resource available from such resources or websites. You expressly understand and agree to submit to the personal and exclusive jurisdiction of the courts of the country, state, province or territory determined solely by my shower grate shop.com or my shower grate shop.com.au to resolve any legal matter arising from this agreement or related to your use of my shower grate shop.com or my shower grate shop.com.au. If the court of law having jurisdiction, rules that any provision of the agreement is invalid, then that provision will be removed from the Terms and the remaining Terms will continue to be valid. You understand and agree that the above Terms constitute the entire general agreement between you and my shower grate shop.com or my shower grate shop.com.au. You may be subject to additional Terms and conditions when you use, purchase or access other services, affiliate services or third-party content or material. my shower grate shop.com or my shower grate shop.com.au reserves the right to modify these Terms from time to time at our sole discretion and without any notice. Changes to our Terms become effective on the date they are posted and your continued use of my shower grate shop.com or my shower grate shop.com.au after any changes to Terms will signify your agreement to be bound by them. Does my shower grate shop ship nation wide? YES, we courier/air express shower grates all over the country everyday. Does my shower grate shop offer a guarantee? 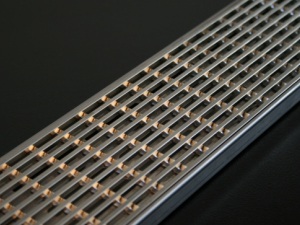 Our shower grates are all 316 stainless steel and go through the latest processes during manufacturing to ensure a lifetime of service. That is why we offer a lifetime Guarantee. 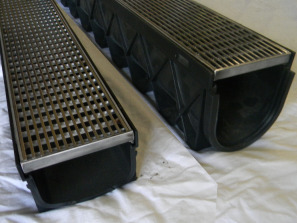 What is the quality of my shower grate shop's shower grates? 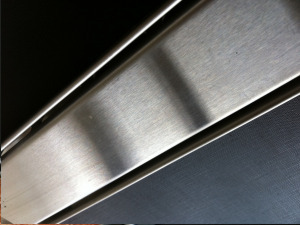 We use 316 stainless steel with no plastic components anywhere. my shower grate shop is an industry leader in quality. We combined the latest tooling and techniques from areas such as aviation and incorporated them into our manufacturing process. How can my shower grate shop Supply so quickly? We are the manufacturers, not re-sellers. Our state of the art CNC and laser tooling is key to our industry leading turn around time. 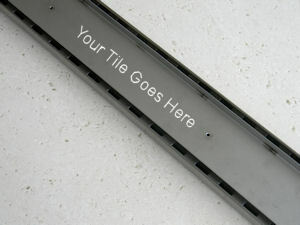 You place your order - we make your shower grate, simple. How can my shower grate shop supply quality products at a fraction of their competitor's prices? 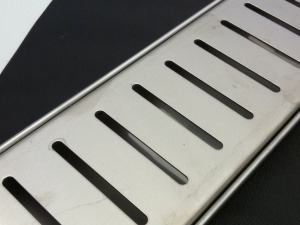 Being the manufacturer my shower grate shop has no middle man, direct from the manufacturer to you. my shower grate shop also does not waste money on expensive marketing campaigns. We rely mostly on positive word of mouth from our satisfied customers. Why buy a shower grate if I can install a centre waste? Initial outlay of a shower grate may be a little more expensive but factoring in the substantial savings on labour for bedding, tiling, and grouting the shower grate soon becomes the more economical option. Styling is another reason more and more people are using shower grates, they offer that much sought after clean, modern, minimalist look. What if I need a 90 degree corner or anything unusual? If you can not input what you need into our ordering system feel free to contact us directly for a quote. We will try to meet all your requirements and get back to you same day. How do you maintain a shower grate from my shower grate shop? We make it easy to maintain your shower grate. The 316 stainless steel only requires a wipe with a clean cloth, in instances of heavier build-up just rub with a kitchen scourer pad in the direction of the hole pattern. Our removable top is made for easy cleaning in the tray.